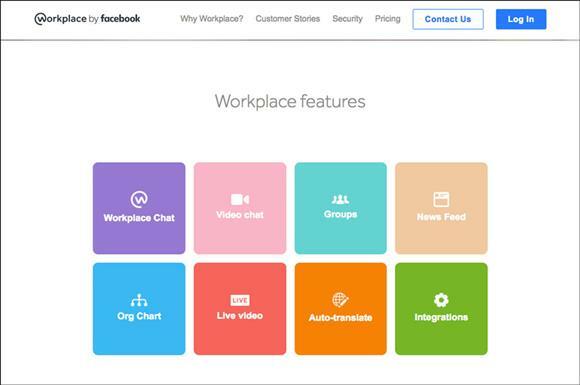 Workplace by Facebook has launched an upgraded version of a package of business tools that is free for charities to use. The social media giant is calling on more charities to take advantage of its Workplace for Good platform, which offers all the tools available to businesses through the social media giant’s Workplace Premium service, to enable them to build "meaningful communities and create change around the world". The business tools built into the package include mobile apps, video streaming and chat, photo and video storage, and news feeds, as well as collaborative project groups. Workplace by Facebook has always made its premium service free to voluntary organisations and more than 2,000 already use the service, including Save the Children, Unicef UK, the World Wildlife Fund, Comic Relief and the RNIB. But the company has now expanded the team that provides the service and is calling on more charities to make use of it. Facebook has been building up its presence in the voluntary sector and now has a fundraising tool, Facebook Donate, to help raise money for good causes. The singer Sam Smith recently used the platform to help War Child UK through a Donate Your Birthday campaign. Facebook also now has an expanded Community Help feature – this and Facebook Donate enable people to ask for and give help during a crisis. In a blog post, Workplace by Facebook said: "Workplace for Good is a dedicated programme to bring life-changing mobile tools to the organisations that need them most. We are investing in a dedicated team to grow our efforts in this space, alongside a new online resource centre that brings together product information, success stories and videos to help organisations take the first step. And, of course, our premium tools will remain free." In addition, Workplace by Facebook has created a multi-company group on Workplace – Workplace for Nonprofit/EDUs, an area for people from the voluntary or educational organisations to create their own communities, ask questions, share tips and exchange best practice. "Workplace has made a huge difference in the way our staff communicate with each other," said Ric Sheldon, interim chief information officer at Unicef UK. "Anyone can share important information instantly, crowdsource answers or opinions at the touch of a button and live stream from every corner of the world. All of this ultimately helps us to work more effectively and makes even more of a difference for children in danger who are in desperate need of Unicef’s help."